For ten years I have been a resident of SW11, so all the more reason to dedicate a blog post on why I love Battersea so much. Every Londoner knows that London is really just a patchwork of smaller villages that have been swallowed up by a capital that has kept growing bigger and bigger. Battersea is just that. If you've never been, it's really worth spending a few hours in this leafy neigborhood and check out its restaurants, shops and parks. Okay there's no tube station, but there is Clapham Junction, the busiest train station in the country ( yes, this is also Battersea) and it's located within a stone's throw from Chelsea across the river. Here are my favourite hang-outs. This is but one of the many bits of green in the area, but it is the most famous. Not only does it offer sweeping views of the Thames river-side, this park boasts a zoo, a pond, sports courts and there is even a Buddhist pagoda. The park often hosts festivals and events of which the Guy Fawkes bonfire night is my all time favourite. This is turning into a right foodie and drink must-go to spot. As small as it is, there are 6 restaurants right on the square, one of which belongs to the Gordon Ramsay chain; London House. Melanzana does delicious pizzas, Zocala potent Mojitos and Queenswood veggie. vegan and meaty dishes. Further down the highstreet you'll find Qucumbar where jazz is on the menu most nights and the Woodman which does gastro pub really well. This trendy street is often thought of as Clapham, but it really is part of Battersea. Locked between Clapham Common and Wandsworth Common, this street is lined with hip boutiques, and delightful restaurants and bars, which are packed on weekend nights and full at around brunch time on Saturdays and Sundays. The area is also known as Nappy Valley, so on a Saturday afternoon you'll have to slalom around the omnipresent prams. Do venture up Battersea Rise towards Clapham Common, where you'll find even more restaurant options. Recently the victim of a massive fire, this is the place to go to for if you want to express your creativity, but also if you want to sit back and watch other people at play. 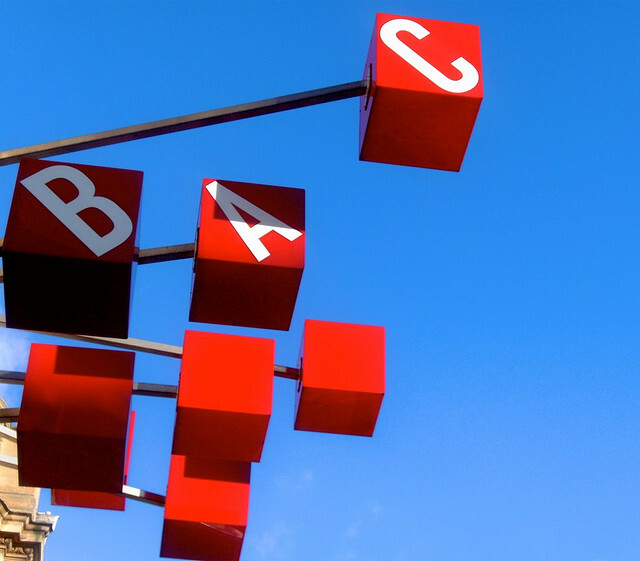 On the BAC program you'll find comedy shows, theater shows and lots of workshops. This iconic building has finally been turned into a building site after a lot of to and fro-ing between construction company. From what I have heard this famous Battersea monument will be turned into a culinary, artistic and retail heaven. All of that under the four chimneys. Can't wait. YES! Battersea is so under-appreciated - it's such a wonderful place. It also happens to be where I'm based when I'm in London - we should grab coffee/a drink soon! What a lovely post! I can see that I definitely need to spend more time in Battersea. It's very pretty. Battersea is such a lovely place to wander! Yes, I am proud to call it my home away from home. One of my best friends lives in Battersea and I am lucky enough to stay there when I visit London! Love it! Lucky indeed. I can't really see myself living anywhere else, to be honest.